Yes, give me the edge in exam preparation! I want 5 additional training videos to master my exam mindset, focus, intention and accountability. Tick the box below to add the "GP Exam Mindset Training" Course now for just $37. Yes! I want my copy of "Master Your GP Fellowship". I will receive my book immediately as a downloadable e-book as well as the 5 Bonus Training Videos. 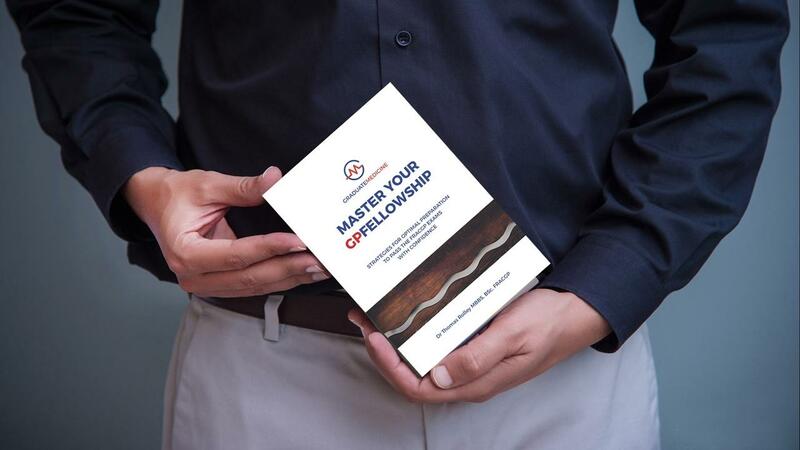 “Master Your GP Fellowship” by Dr Thomas Rolley, is a clear pathway to passing your GP Fellowship exams, confidently. This book is about more than just the exams. It includes foundational strategies to be a safe and effective GP. Doctors who have been through this method have not only passed their exams, but have experienced greater appreciation from their patients. “Master Your GP Fellowship” will motivate you and help you feel in control of your study time and exam performance so you stay clear and focused on exam day. Instant download, 61 pages, easy to read. Simple 100% money back guarantee if unsatisfied. LIMITED OFFER – 5 bonus FREE training videos! Please contact us at [email protected] or 02 6697 7077 for further help and support.